The other mapping poster that will be presented at LPSC this year is by Dave William et al. 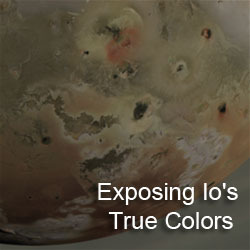 and is titled, "Volcanism on Io: Insights from Global Geologic Mapping". This poster will present the status of the global geologic map project as well as present examples of results derived from the map. 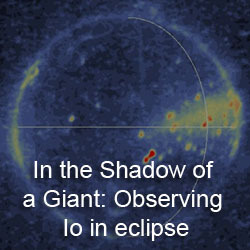 The authors' LPSC 2008 update was discussed on this blog last year. The geologic mapping group finished the global map last year in ArcGIS. They are now working on a database to incorporate information about surface changes observed by Galileo, Voyager, and New Horizons. 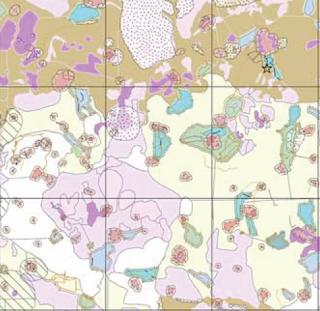 This abstract two examples of statistical analyses that have been performed on the geologic map. The first compares the height and area of various mountain units. The authors find that lineated mountains tend to be taller than mottled mountains. This supports the hypothesis that mottled mountains are more degraded, and thus older, version of the younger lineated mountain unit. However, based on the plot of mountain height-vs-area, they may be dealing with statistics of small numbers as only 4 mottled moutains are plotted. The layered plains unit, thought to be an even more degraded mountain unit, has a similar area distribution as the other mountains units, but tend to be restricted to under six kilometers in height, further supporting formation from degradation. The rest of the abstract is spent looking at the temporal correlation of mapped units. Williams et al. propose that mountain units are the oldest geologic unit, forming over a period from several millenia ago to perhaps several million years ago. This is based on the observed pattern of degradation at the various mountains mapped on Io (lineated mountains -> undivided mountains -> mottled mountains -> layered plains) and the superposition of other units on mountains such as diffuse volcanic deposits and paterae (seen at some mountains to be "eating" into them, such as at Tohil Mons and Gish Bar Mons). 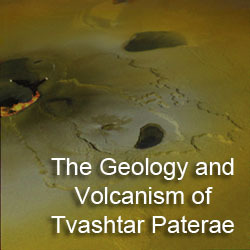 Volcanic units have formed much more recently, with diffuse deposits and dark and bright flows (both on the plains and in paterae) forming during the period of spacecraft observation. Plains units fill in the gap between volcanic units and mountain units, the result of the buildup volcanic deposits and mountain mass wasting that have since become homogenized and can not be split into different units (like undivided flows). Again, another interesting paper, but I am curious as to when or if the geologic map will be available online as a downloadable product like some of the older Galilean satellites maps or the Venus geologic maps.